Owing to a long-term destination for our business, we are engaged in offering premium quality UPVC Adhesive. The offered cement is processed of high grade chemical compound and advanced technology under the guidance of skilled professionals. Apart from this, provided cement is thoroughly tested on various stages by our quality controllers to ensure quality assured range at clients' end. Besides, it is available in various packaging options. 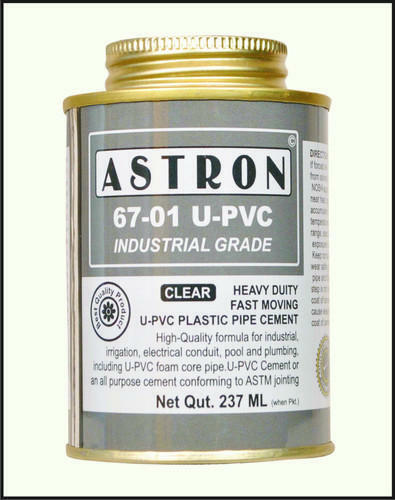 UPVC Adhesive is also known as UPVC Plastic Pipe Cement..